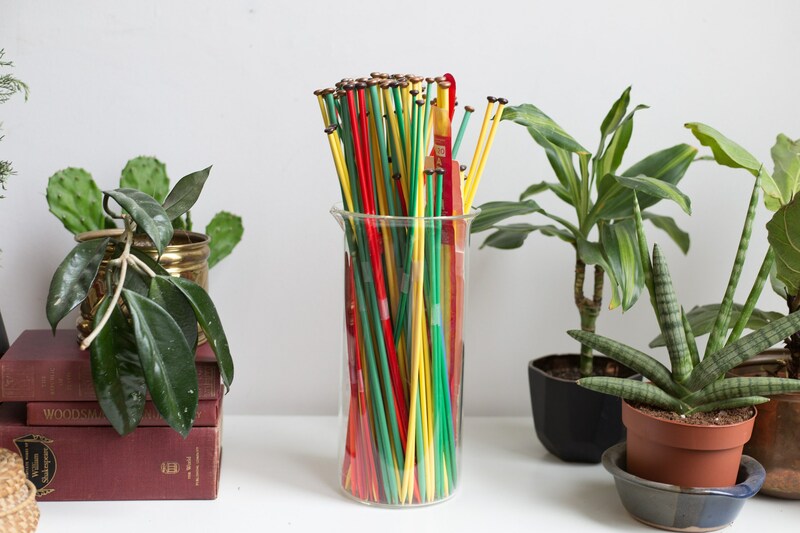 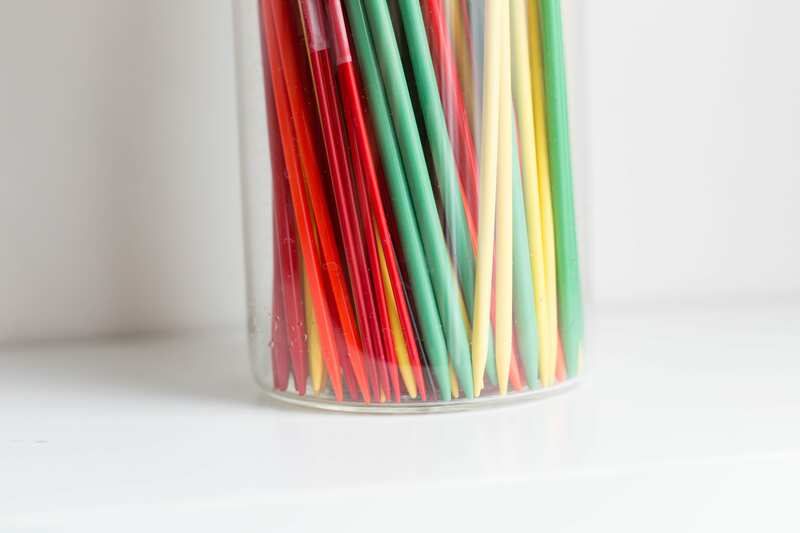 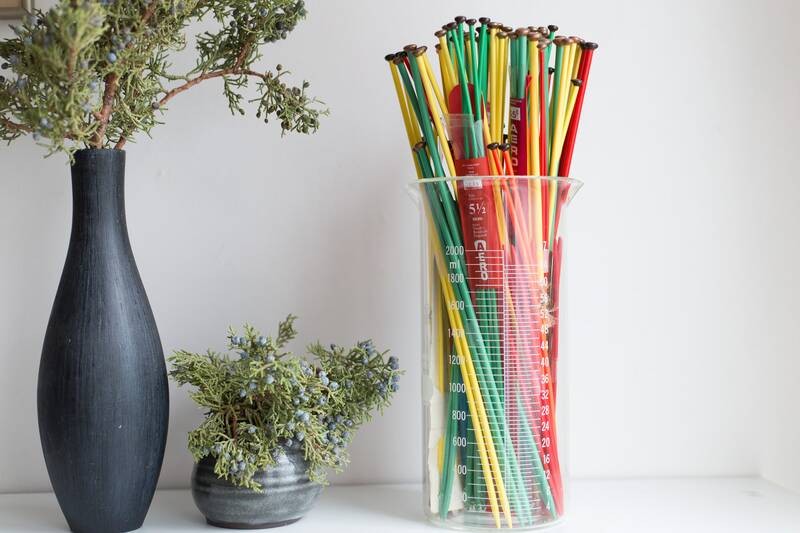 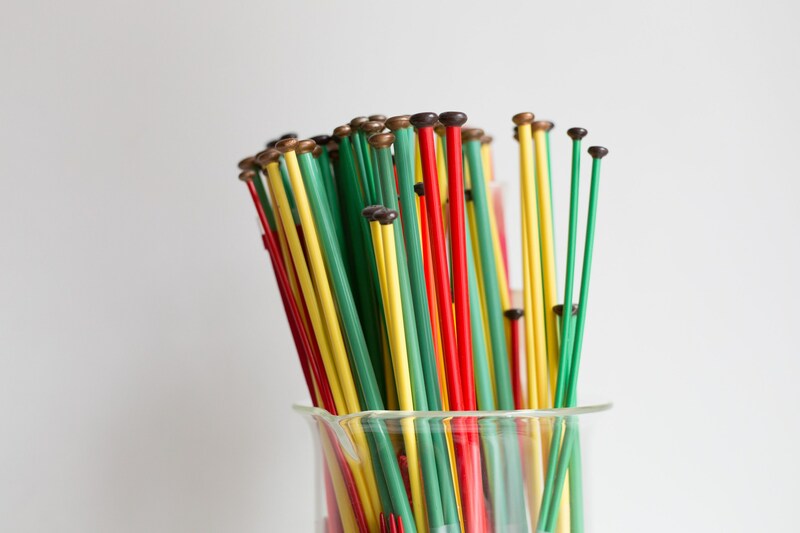 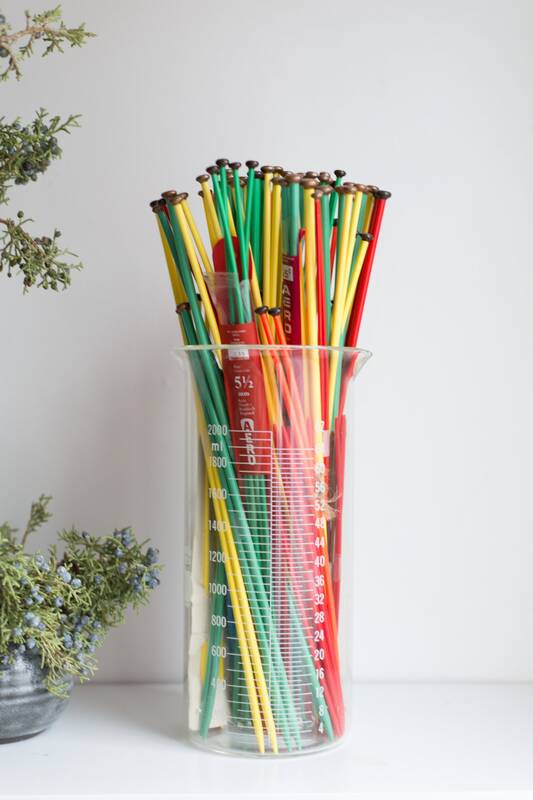 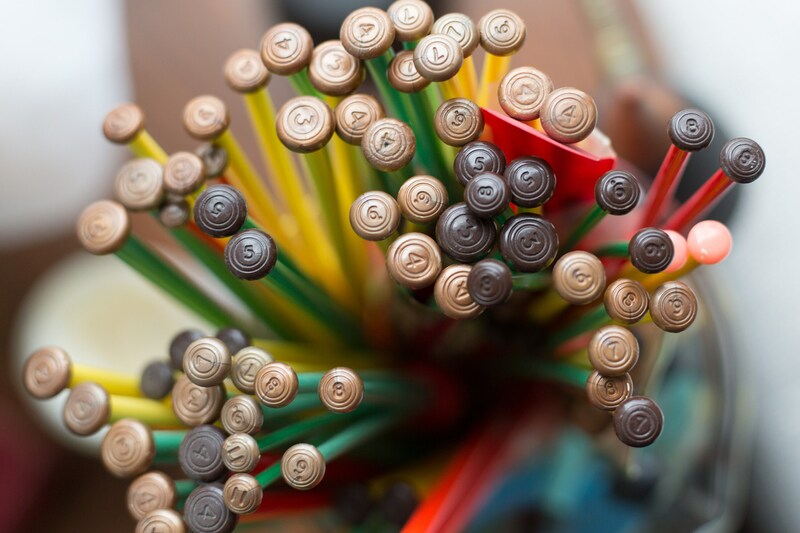 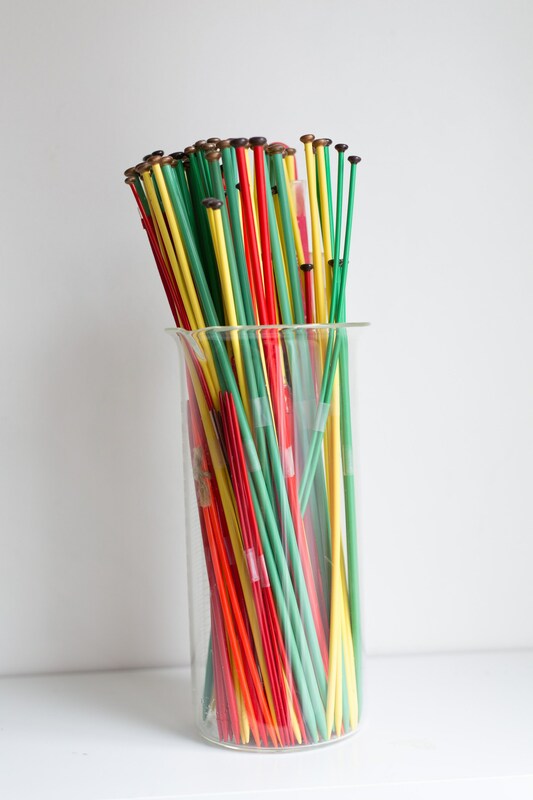 This is a colourful set of 50 vintage knitting needles in red, green blue and yellow. 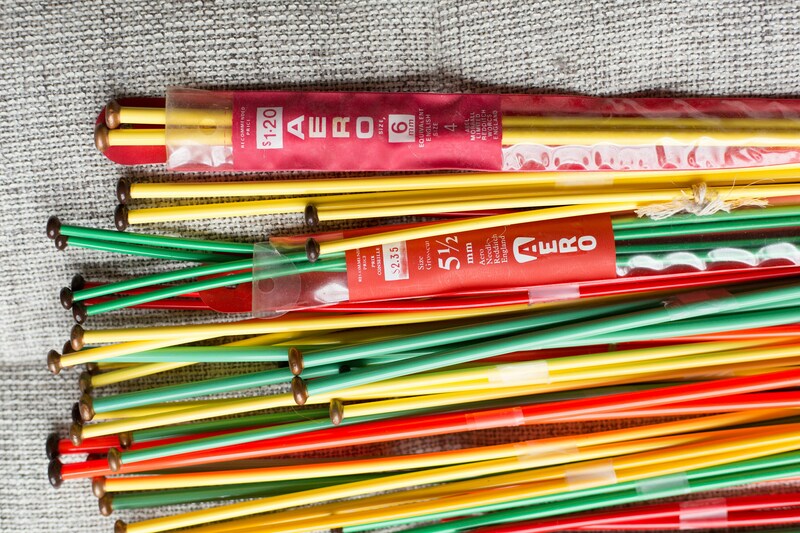 The listing price is for the set of 50. 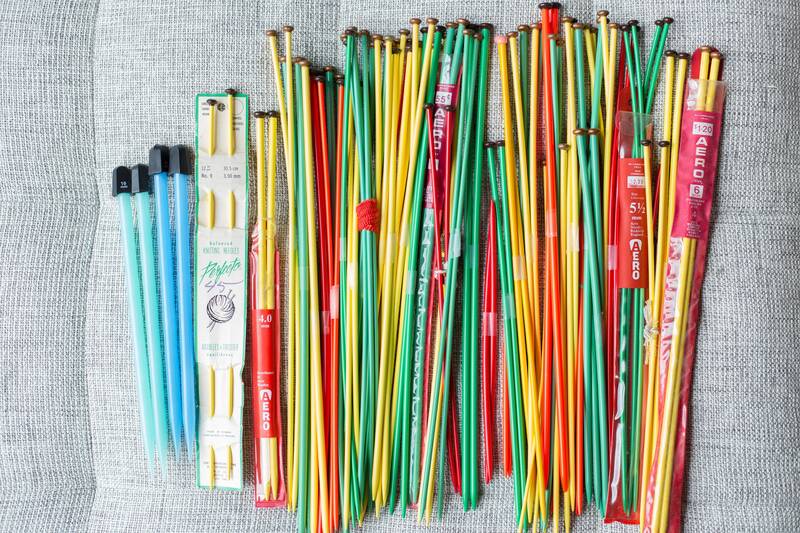 They are all different sizes. 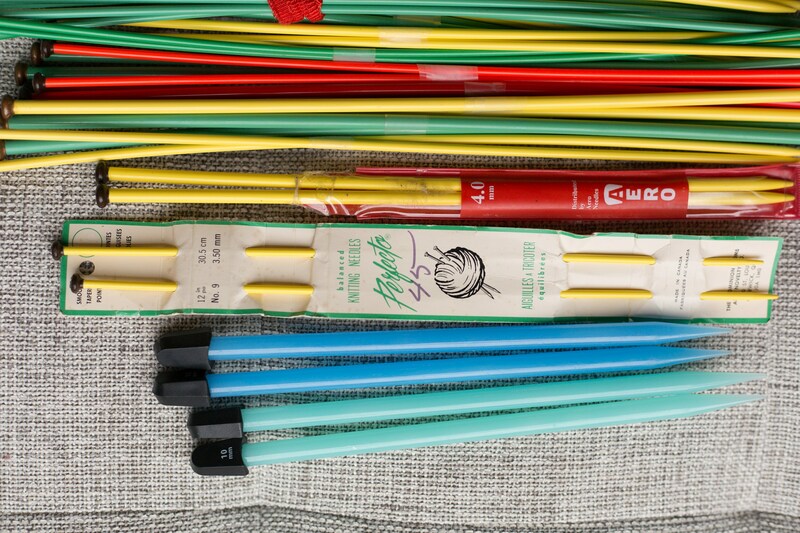 Some are in original packaging.